With literally thousands of different paint colors and finishing styles to select from, choosing the perfect combination for your room or home can be overwhelming. In fact, many clients that we work with have painted only white throughout their homes, simply because they didn’t know what else to do. 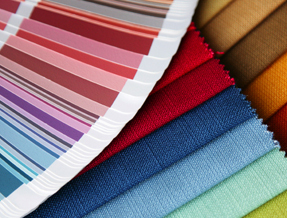 Let us help you choose the right colors for you and your home. Color Consultants at DJS Painting work to understand your desired color palette and decorating tendencies. Our Consultants come to your home to collaborate with you on how to showcase the true beauty of your space. Whether it’s using paint color to highlight a unique trim, draw attention to a beautiful centerpiece of artwork or your handcrafted fireplace, or even to properly feature a magnificent view, paint choices can attract and distract as necessary. We will also consider the natural flow or movement within your home, and sunlight variations throughout, in order to select the best colors and tones or combination of hues that will complement one another. In addition, sometimes our clients have very specific ideas for color, and simply need validation or refinement before they take the painting plunge. Whatever the case, our Color Consultants understand these variables and help you to manage them appropriately, resulting in a home or room that represents your personality. Ask yourself if you prefer bright or muted hues, and look toward colors within that color realm. Consider the style and colors of the furniture, artwork, and décor that you currently have in your home: we all gravitate toward a particular look or tone, and you will start to notice your own acquired taste if you step back to look at your home as a whole. Find a rug that you like, or a drapery, pillow, piece of artwork, something, and pull a favorite color directly from that item. Oftentimes a color is why we like or don’t like a particular item. Look through a range of home or interior-related magazines and websites, and create a file folder of photos and images of homes and rooms that inspire you. If you’re going to paint an exterior, try driving around to look at other homes and take photos of the ones that you are drawn to. Undoubtedly, if you do many of the steps above, you will begin to see a consistency in your color choices, which will provide a direction for your new paint colors. Do note that if you decide to paint samples yourself, paint a minimum 18”x18” square, and paint several of these throughout your room or home in different areas – particular in places that receive a range of light throughout the day. This is important because your paint color will look incredibly different in direct sunlight versus diffused light. “Wow, amazing painter with a professional crew. We had DJS paint the entire interior of our new home. Don came over to the house to give us a free estimate and help me choose what sheen of paint would be best since we have 4 small children. Bill, their color consultant, helped me nail down the colors and he helped me feel less intimidated about painting actual colors instead of safe beige.” – Nate K.